Wednesday night (3/12) in a word was all over the place. Ok so a few words. I started panicking around 945 or so as I was jumping venues. But then something … someone’s …. happened. A band called “NO” from L.A. which has band members from everywhere. And this is where the change happened. The swan dive is an awesome bar on red river. Its got tables surrounding the outter wall and lots of chairs. I met a guy from Germany who told me no would be great. Man he was not lying. The six piece band, who met in la, are from everywhere around the world. They were dressed very sharp with all of them clad in black pants, nice shirts and their best 12 eyed doc Martens. The lead singer has a nice baritone ala Matt Berninger of the National. Their sound is post punk a nice mix of the National meets the editors meets interpol. They blend it all and they have a really nice full polished sound. Their songs are catchy and in no time at all will you be singing along. The lead singer has great energy and really works to get the crowd involved. A very solid band you dont wanna miss. They’re signed to the great label arts and crafts and are currently on tour with the Darcys. Rey pila from mexico city brought on the funk and dance. They infused it all and they were great fun. Their lead singer came into the crowd and danced it up big time. Really a band you dont want to miss at sxsw. 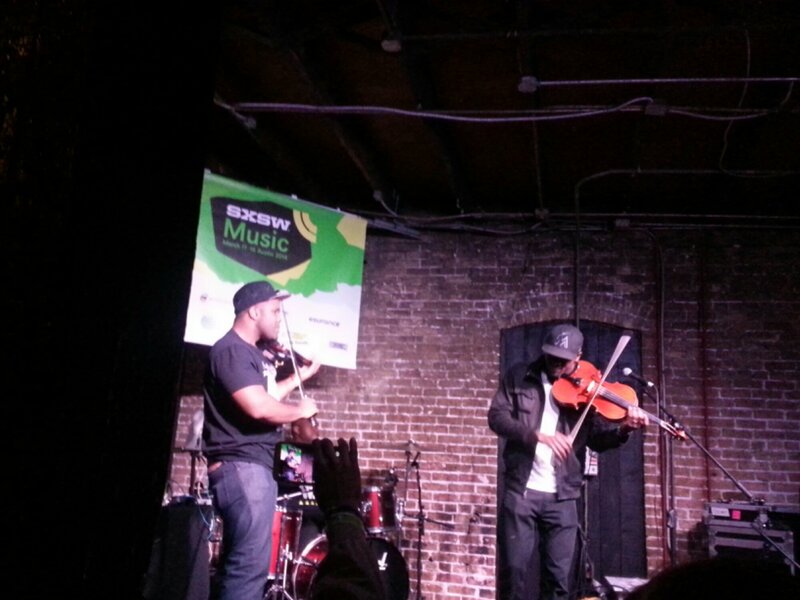 Black Violin came on around 130 to a fairly unpacked club. It was a good mix of people in the audience making for an awesome night. The band is 2 black guys who met in high school some 15 years ago in orchestra class. They have remained tight friends ever since. The band, from Miami, also has a dj spinning beats and a solid drummer (with an awesome shirt). 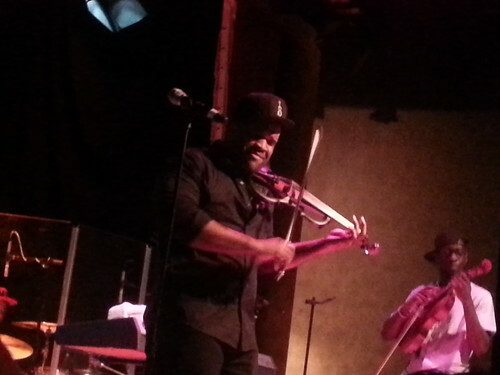 The guys on violin are just BRILLIANT!! They have transformed the violin into this awesome instrument that at times sounds just like a guitar. The way they play and put to use the violins is mesmerizing. They should be the new heroes for music classes everywhere inspiring the youth today to turn towards playing the violin. The music at times is straight out of a symphony but with a rock infusion. Then they will immediately go into something very different. They will keep you on your toes. They ended the set with one guy introducing us to ‘Tiffany’ his violin and doing some pure shredding (do you shred on a violin?). The set ended with a great medley of some of the catchier radio songs from ‘Radioactive’ to ‘Blurred Lines’ then straight into Daft Punk’s song of the summer ‘Get Lucky’. It was SICK! The crowd loved it with everyone getting down and dancing. It was non-stop entertainment and kept us going for the night. 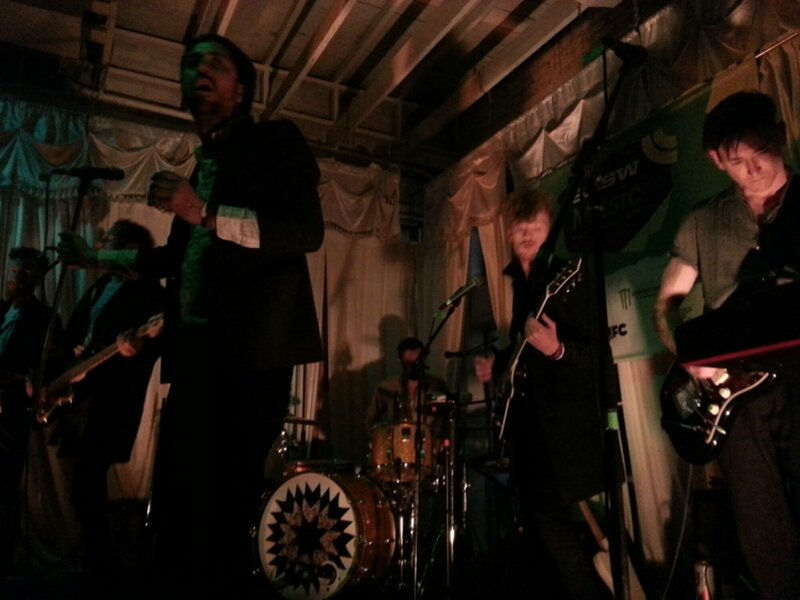 BEST.BAND.OF.SXSW.2014.